Owned by Janice Williams of Bristol, Rhode Island. 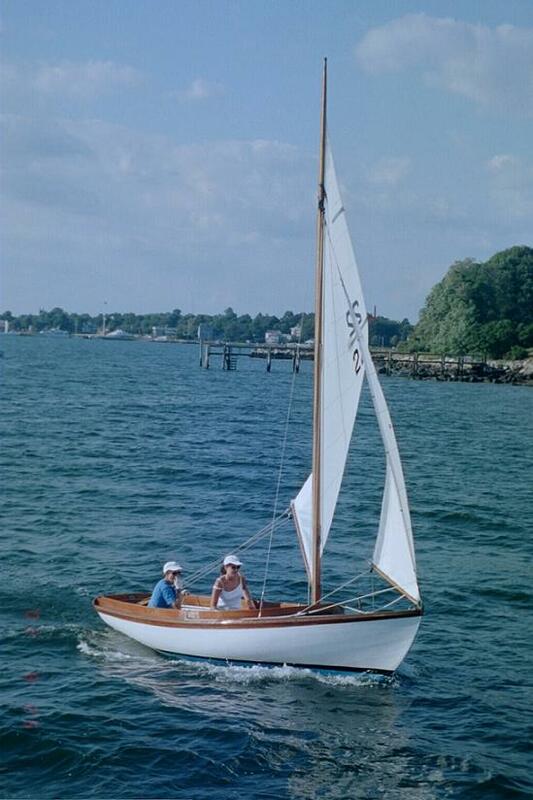 Sailed by Janice’s daughter Shawen and her husband Andrew MacKeith, commodore of the Naragansett Bay Herreshoff 12 ½ Footer Association. Condition is excellent, and is sailed regularly. At one time she was sunk to avoid a hurricane. She is kept in the barn at Fish Hawk Farm in Bristol where the air is damp in summer and not too cold in winter. In the summer she stays on the mooring outside the house. She was not used from 1977 to 1992, and some other periods. Fish Hawk was ordered after the 1938 hurricane (The 1938 hurricane did a lot of damage in Bristol) and was delivered in 1939, for Janice's 16th birthday. The sheer strake is mahogany, a single piece mast partner, a Marconi rig, and one-piece seats.